Dagnabbit if it isn't almost time again for some authentic frontier gibberish. That's right, January 24th is Talk Like a Grizzled Prospector Day! Never heard of it, you say? Well don't sit there bein' a sidewindin', hornswaggling, bush-whacker. Read on to learn more about this fun celebration of a seminal moment in California history. Photo courtesy of the Orange County Archives. Many people have heard of the California Gold Rush but don't know too many of the details. It all started on January 24, 1848 when a man named James Marshall, foreman of a lumber mill being built for John Sutter, found some shiny metal near the intersection of the American and Sacramento Rivers in Northern California. He took his find to his boss, who tested it and discovered it was gold. The two men tried to keep it quiet but rumors soon spread and opened up a flood of treasure seekers to the area all hoping to strike it rich. The Gold Rush brought men from around the world to the small town, including from places as far away as Australia, China and Peru. At first, they say, you could practically just pick up gold nuggets straight from the ground. 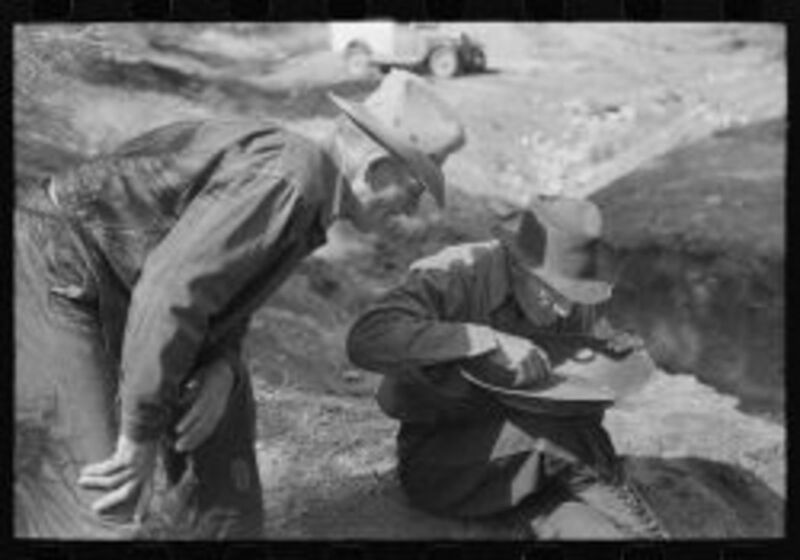 Excavation became increasingly more difficult as more miners came to the area and, even then, the primary requirement for success seemed to be luck. The competition for gold was fierce, and the rules were few, which led to a rough and somewhat brutal society. The forty-niners, as they were soon to be called, had a great effect on the development of California. The city of San Francisco grew from 200 residents to nearly 36,000 within three years. By 1854 more than 300,000 people had made their way to California, one of about every 90 people then living in the U.S. This great influx led to the construction of roads, schools, churches and railroads, as well as increased international shipping in the area. 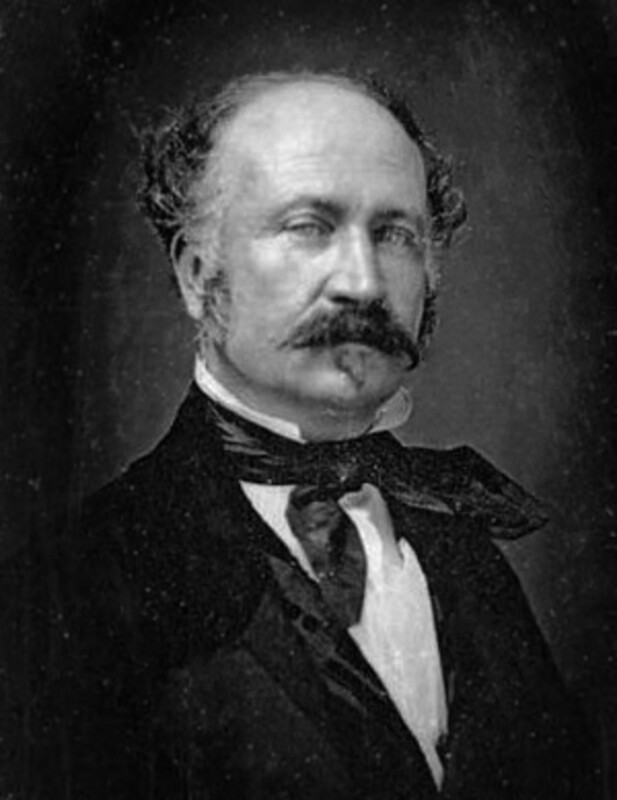 As a result, the Gold Rush helped California develop its reputation as a place where fortunes are made and anything can happen. It remains known as the Golden State to this day. Learn more about the California Gold Rush with the excellent PBS series "American Experience - The Gold Rush." 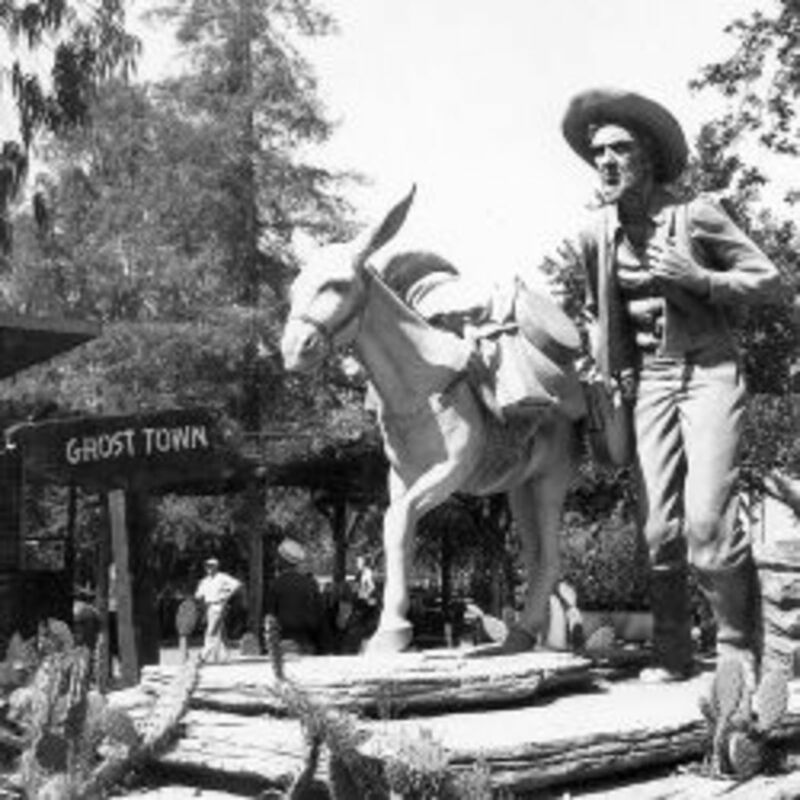 Starting in the 1940s, California farmer Walter Knott started building a western-themed Ghost Town as part of the development for his Buena Park berry farm. After Knott inherited his father's silver mill in Calico, CA, in 1951, he reconstructed many of the buildings and The Ghost Town grew to include a hotel, blacksmith, livery, saloon and covered wagon camp. One of the highlights was panning for gold, where visitors could take home gold they mined themselves. Moreover, Knott's made a celebration out of the California Gold Rush by holding an annual Prospector's Day parade every January 24th. This by-gone event was the inspiration for Talk Like a Grizzled Prospector Day. 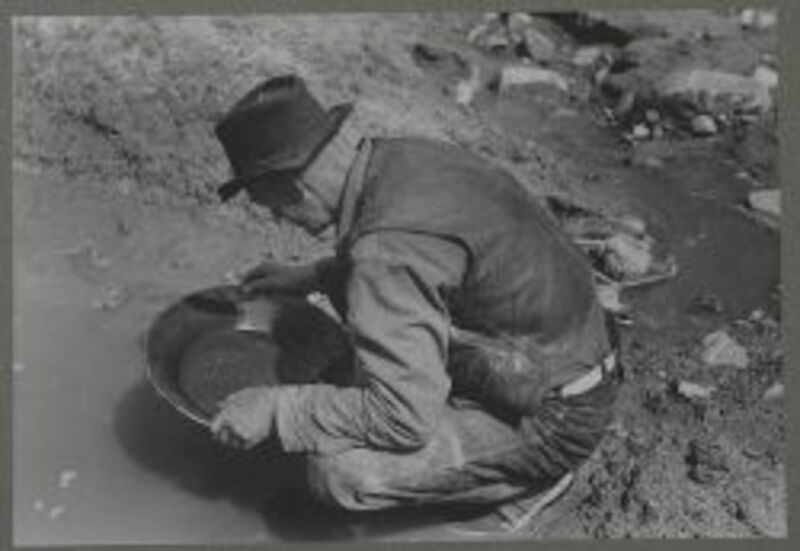 Panning for gold remains a popular attraction at Knott's Berry Farm. Growing up in the 70s and 80s, we would sometimes take school field trips to Knott's to learn about the old west and other parts of American history. We all looked forward to the part of the day when we could swish our pans around in the trough and maybe take home a vial of gold flakes. Jack Starrett in "Blazing Saddles"
Jim Backus on "The Brady Bunch"
Will Ferrell on "Saturday Night Live"
Stinky Pete from "Toy Story 2"
Yukon Cornelius from "Rudolph the Red-Nosed Reindeer"
Of all the indelible grizzled prospectors ever put on film, the one that immediately comes to mind for me is Jack Starrett in Mel Brooks' "Blazing Saddles." I also happen to think this is one of the funniest movies ever made. While some may find it insensitive, it is exactly that willingness to hold nothing back in its skewering of racism, ideas of femininity and western movie tropes, that make it so funny. You'd certainly be hard pressed to find anything so bold in our politically correct times. If you haven't seen it, do yourself a favor and check it out. Get yerself ready for the big day by pickin' up some genuine Prospector Talk. Hornswaggler - A dirty, thieving swindler. Bushwhacker - One of the roughest, toughest outlaws around who just waits fer ya to pass by so's they can jump on ya. Californee - The best darn state in the Union. By cracky - Sumpthin that's awful important and needs to be done right now. Dadgum - What you say when you're mighty annoyed at sumphtin or someone. Makes a right nice change from Dagnabbit and Goldurn. Confounded - What ya say when things just don't make no sense. Also comes in handy when you stub your toe. Varmint - a small animal or a person you don't care for very much. Consarn it! - Sumpthin a real lady would never say. Sockdolager - What done settle the matter once and for all. Sidewinder - The kind of low down snake that will come on all nice like just so's he can jump your claim. Check out this clip from Mystery Science Theater when Mike becomes afflicted. 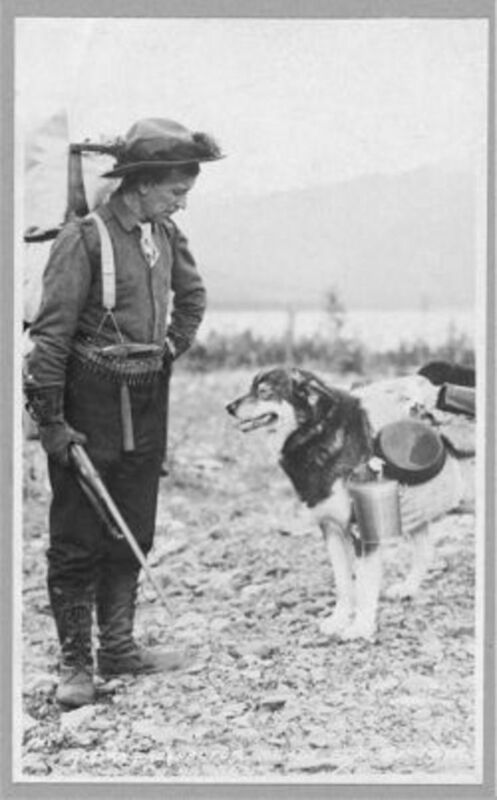 Learn how Talk Like a Grizzled Prospector Day got started from the man who started it. Join all the fun on Facebook! Read more about the California Gold Rush from the American Experience on PBS. Learn some colorful prospector vernacular in this informative blog post. Remember to Talk Like a Grizzled Prospector on January 24th! Before you Skedaddle... - why not drop me a note and let me know you moseyed by! i'm putting together my plan for January 24, 2014. Nobody has mentioned "Paint Your Wagon". That was the funniest prospector movie I ever saw. Love the prospector talk for beginners! Going to Knott's Berry Farm as a kid always made me feel like a part of California's gold rush days. Very nice lens, I had no idea this special day existed. It was fun reading through this info and learning more about this topic. Cool lens. I had great time reading! Thanks! @RawBill1: You'd better get on it, by gum!Hope you have a whole passel o' fun out west. @anonymous: Well have a sasparilla for me, by cracky. @norma-holt: Thanks so much, skiesgreen. Ohhhh, this was fun to read. Pure Americana. Nice lens, by cracky! after talk like a pirate day, this seems possible. I learnt my words through zane grey and sudden. By cracky, I'm glad I stopped here on my way to the saloon! I moseyed on by! It was a grand time! Very fun! 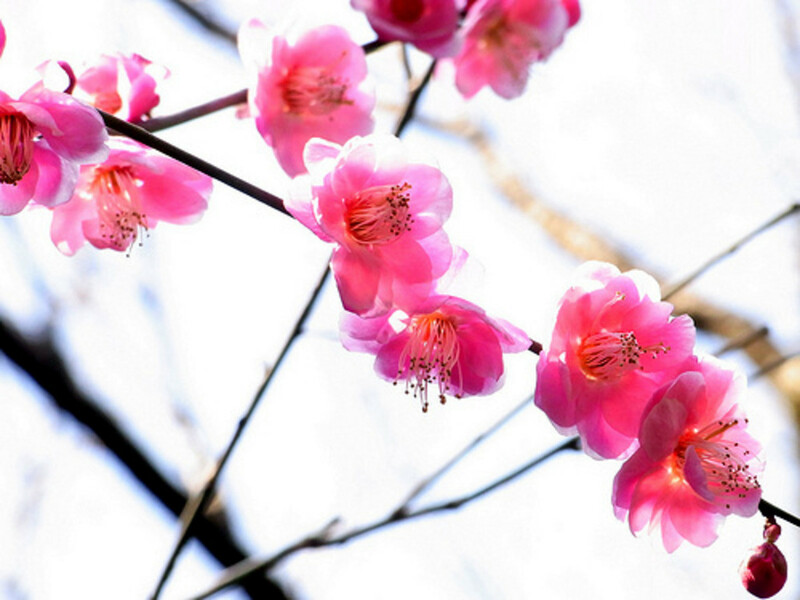 Congratulations on your Lens of the Day! Cool lens and congratulations on getting LOTD! They say that you don't stop learning, this is one of those learning days for me. Congrats on the LOTD! Awesome stuff. I am visiting 'Californee' in 6 weeks time, so I had better get practising my Grizzled Prospector speech by cracky! Congrats on LOTD! By cracky, you've done a pretty gosh-darn good job on this. The Gold Rush era is one of my favorites and concentrating on the prospectors is a fun way to explore this period. Hey there! I shore do like this here page. I see you went an' got LOTD.fer it. Well, I'm not s'prised 'cause this here page is whatcha' call 'Downright Dandy' an' well, I jus' wanted to stop by an' tell ya' how doggone Tickled Pink ta' see ya' got yer rightful reckognishun on such a great bit 'uh work. Y'all keep writin' these here fun pages now, y'hear? Dagnabbit this if fun, congratulations on LotD honors...blessed! Lol, fun lens! I'll have to practice my grizzled prospector talk! Wee Doggies! Wait... that's an oil man! Sorry! Great history and sayings too. How 'bout Yosemite Sam from Looney Tunes chasing after that varmint Bugs Bunny? 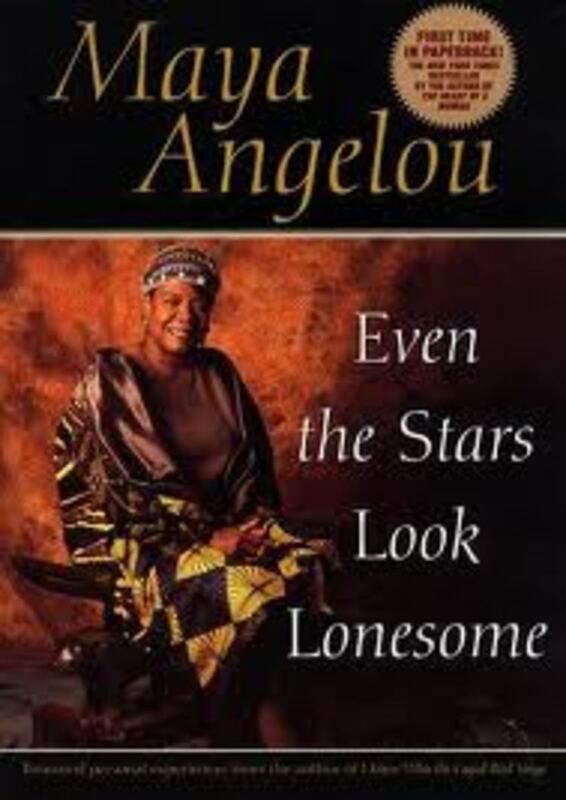 This here readin' made me smile like my toothless ol' grandad! Good job, youngun'! OMG.. I LOVE IT!! For sure I want to talk like a grizzled prospector now, I cannot help myself!! I can see it all now, I'll be at the grocery store or out for lunch and just break right into that dialect. Too funny. Angel blessed lens fellow bushwhacker. I remember that statue Prospectors Monument! When I used live in California we use to go to the old Gold Rush cities...one of my favorite places was Columbia, California. great lens , thanks for the info about the gold rush. That was fun, by cracky! By cracky, I had to comment! I visited because I am new to Squidoo and want to see what recognized Squidooer do in their Squidoos. But what a great Squidoo. Interesting, well put together, and quite a hoot. I think "hoot" might be be a dirivitive of grizzled prospector language. Well, consarnit! Looks like you went an' got yerself a LotD! YEEEEEHAW! Con-grat-yew-lations! I'm gonna sprinkle some of that Angel Dust on this here lens, but you ain't gettin' none of my gold! Got a kick out of seeing Claude K. Bells statue as your opening photo. Aren't the Orange County Archives great!. I have a lens on Knott's Berry Farm and new season passes so we will have to study up how to speak correctly before we go there. Fun lens. Congrats on LOTD. Thank you so much for sharing! Now I know some frontier gibberish! Fun lens and great history on the growth of California. And since it's after midnight here in Keen-tucky, I's a guessin' it might be okay ta start talkin like I done jes watched Paint Yer Wagon. (N don't fergit to add dat un ta yer list a movies.) I'm originally from California, but I was born under a wanderin' star. Dadgumit, January 24th is tomorra! Let's celebrate it! Excellent work. It's always nice to read about cultures. Fun... amazing how so many of our CA traditions go back to the Gold Rush time :) Do you have some more sayings that we can practice with for Talk Like a Grizzled Prospector Day? @ChristyMarieKent: I, for one, would certainly like to see you try! What a fun page! I think my gibberish education has now been properly updated an' I am jus' about ready to talk like a grizzled prospector, dad-gum-it! The folks in them thar hills ain't got nuthin' on me fer bein' able to talk proper. Only thing now is, how do I find me summa' the gold thet's been lyin' 'round all over the ground fer all these years? Those doggone prospectors shouldn'ta' gone an' found thet gold 'til I was born an' old enough to run an' gather summa' those nuggets fer myself. The greedy hornswagglers! Now, I'm here an' there don't seem to be any left fer me. Them thar bush-whackers done took it ALL ! ! ! Well dagnabbit, that thar was a humdinger of a lens. Golden. I think I need a class in talking like a Grizzled Prospector so I can join in with this fun celebration. I'll use Stinky Pete as my inspiration! Cool! January 24th is our quarterly management meeting; do you suppose I can get away with talking like a grizzled prospector to the CEO all day? Dagnabbit! (Doesn't have the same effect with a British accent), you've put together a rollockin' great page for Talk Like a Grizzled Prospector Day!